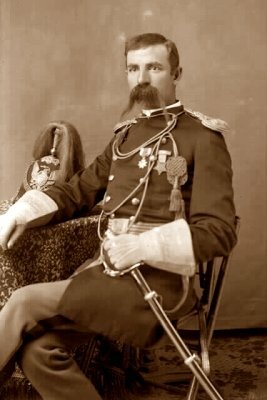 Lieutenant-Colonel George Armstrong Custer was not given to asking for advice. This characteristic was so pronounced that one of his officers remarked upon the fact that he DID solicit ideas from his officers before the fight at the Little Bighorn. Our notion of Custer is so steeped in both positive and negative mythology that, almost from the moment of his death, he ceased to be seen as a real man. His widow, Libby, worked to fashion and maintain an image of her husband as heroic and bigger than life. Yet she also wrote of a man who loved the theater and would cry at sad plays. She and others who knew him made much of his sense of humor and wrote that he laughed often. He could be playful and mischievous. At the Battle of Trevillian Station in the American Civil War, he whipped his old West Point roommate, Confederate GeneralÂ Thomas Lafayette Rosser. His biggest pleasure from that day was that his men captured Rosser’s trunk with his clothing and even his underwear. Despite being on opposite sides of the conflict, Custer and Rosser sent humorous notes back and forth to each other. Libby wrote that when Custer and his best friend, actorÂ Lawrence Barrett, parted from each other, it was nearly always with tears. The best account we have of Custer’s emotional state before the battle that ended his life comes from Lieutenant Edward Settle Godfrey, commander of K Company, 7th Cavalry, under Custer. Godfrey kept a field diary of the Yellowstone Expedition from May to September, 1876. In an 1892Â Century Magazine article about the Little Bighorn fight, Godfrey wrote of the officers meeting called by Custer threeÂ nights before the fight (also recorded in the Godfrey diary). And herein lies one of the problems with our view of the Little Bighorn fight. Every little aspect of those two days of battle (June 25-26, 1876) have been raked over and over with a fine-toothed…rake…and any person’s view of those events is colored by a view of what they believed happened. 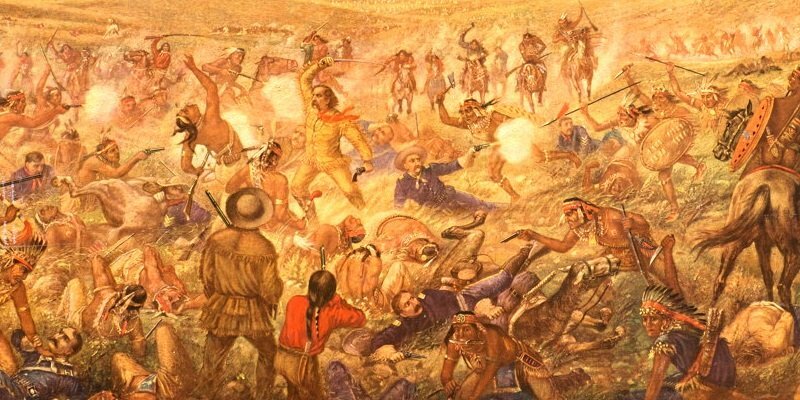 Was Custer just having a bad day? Did he have a fight with Libby before they parted? Was he still worried about the trouble he’d gotten into in Washington that almost kept him out of the fight? We’ll never know. But it really doesn’t matter. What matters is that this made enough of an impression on Godfrey to have noted it in his diary and included it in his 1892 article. It shows us a side of Custer that removes a little of the gloss or dross (depending on your view of Custer) and let’s us see something of the human being. I don’t have a dog in this fight. I find Custer fascinating because he was multi-dimensional and flawed. He had a more-than-distinguished record in the Civil War, he was trusted enough by General William Sherman, General Phil Sheridan, and General Alfred Terry to make them appeal to President Grant to relent on allowing Custer to command the 7th on the Yellowstone Expedition. Of course, Custer was Custer. He was told not to bring any reporters on the expedition. He brought Mark Kellogg, who died on Custer Hill. 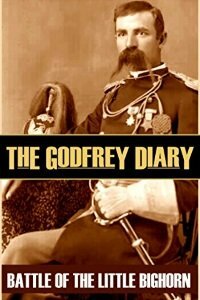 You can read all of Godfrey’s diary and his 1892 article in The Godfrey Diary.